John Flood's Random Academic Thoughts (RATs): How Mortal is Big Law? How Mortal is Big Law? 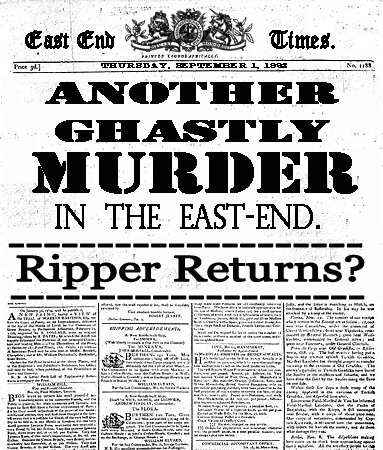 Despite all the theories put forward, the forensic evidence adduced, the conspiracies mounted, Jack the Ripper wasn't caught and so didn't meet his just deserts. It keeps retired coppers and others in business however. The fate of Big Law is similar. Today an article in the Financial Times (accessible here) proudly proclaimed "dominant New York corporate law firms increase market share." This links to a post I wrote last year, "Death of Big Law Announced Prematurely..." There has been so much fatalistic talk about the demise or collapse or unsustainability of Big Law that it ought to be six feet under but it isn't. My evidence for the continued longevity of big law firms depends on a particular category of work, mergers and acquisitions (M&A). M&A is big ticket work--the deals are large and the fees generated are huge. And M&A deals create so much work it doesn't stop when the deal is "completed". For law firms there's considerable follow-on work out of each deal. In 2015 M&A surpassed the $5 trillion mark, many of which were mega-deals. Of the top 10 law firms doing big M&A work nine are based in New York and the only London firm is Freshfields at number 9 which worked on the Royal Dutch Shell-BG Group and ABInBev-SABMiller mergers. The legal market is highly stratified and parts of it are highly successful and appear impregnable to the threats articulated by Susskind, Beaton, or MacEwan. Does this mean the doomsayers are wrong? There is something about their respective analyses that seems to dent their conclusion that Big Law is on a downward trajectory. The picture is far more complex than we have allowed for. Elite law firms have been resolutely placed in the same category as other professional service firms and despite some big insolvencies law firms have been resilient. The big New York and London law firms occupy a unique category. They fit the "winner takes all" category defined by McKinsey some years ago. They mostly focus on their core strengths, promote clear and strong brands, and are venerated by CEOs and general counsel. I'm not going to predict the imminent death of Big Law since it proves its resilience (for more than a hundred years). The numbers will be winnowed no doubt as there are too many fungible law firms which take the middle ground, scrabbling for the same work. Some will reinvent themselves into New Law but most will continue the same. The result is the stratification of law firms will become even more embedded. It's rather like the decline of the middle class in America while the 1 percent grows richer. Provocative post John, the best kind. – There are at least 20,000 firms and many strategic groups of the BigLaw (as in the business model) variety in the world. – So I agree we generalise at our peril. – The truly elite group of firms numbers about 15 in New York City, another five or so in the US and perhaps five in London. IMO these firms are not at risk and will continue to grow share and increase profits at the expense of other firms. – As for the rest, some will in your language "reinvent themselves" by taking on (some of) the characteristics of NewLaw business model firms. – Again and IMO there will be far fewer of these firms which I term 'winners' and than 'losers', perhaps in a ratio as high as 1:10. – By winners and losers I mean hold/grow PPEP and suffer large falls in PPEP, respectively. – The challenges of 'remaking' (my preferred word for reinvent) a BigLaw firm of any size are immense for cultural and structural reasons. – A handful are showing the way, but oh so slowly are others thinking about starting. – This is the subject of my forthcoming book from the ABA in March: 'Remaking Law Firms: Why and How'.